Given an opportunity to suggest a landmark artifact outside the entrance to American Enterprise, the museum's new business history exhibition, our staff eagerly came up with numerous fascinating ideas—everything from elevator grilles for the 1893 Louis Sullivan-designed Chicago Stock Exchange to a piece of the famed Horn and Hardart automat. In the end, the ultra-modern 1940s Tucker automobile was chosen. The sleek silver sedan is certainly beautiful, but does it also represent an iconic American business story? You betcha! At age 41, Tucker was not a famous industrialist, but he was a known "motorhead." He had spent his entire life around cars—repairing them, selling them, promoting them, and even going into business with famed race car designer Harry Miller. During the war, Tucker set up a machine shop behind his house in Ypsilanti, Michigan, where he designed and built a successful gun turret. Transitioning from government war work to civilian consumer products, Tucker decided the time was right to set up a new automobile manufacturing company. He hired automotive designer George Lawson for preliminary work on his planned car, but money was short and the two parted ways. Industrial designer Alex Tremulis was later hired and ended up doing much of the body design work for the Tucker automobile, although Preston received credit on the design patent. As a salesman sensitive to Americans’ growing fascination with science and engineering, Tucker knew that Americans wanted more than just stylish chrome; they desired breakthrough ideas. The car that Tucker promoted had a rear-mounted aluminum block engine, automatic transmission, rubber torsion tube suspension, and many other innovative features. 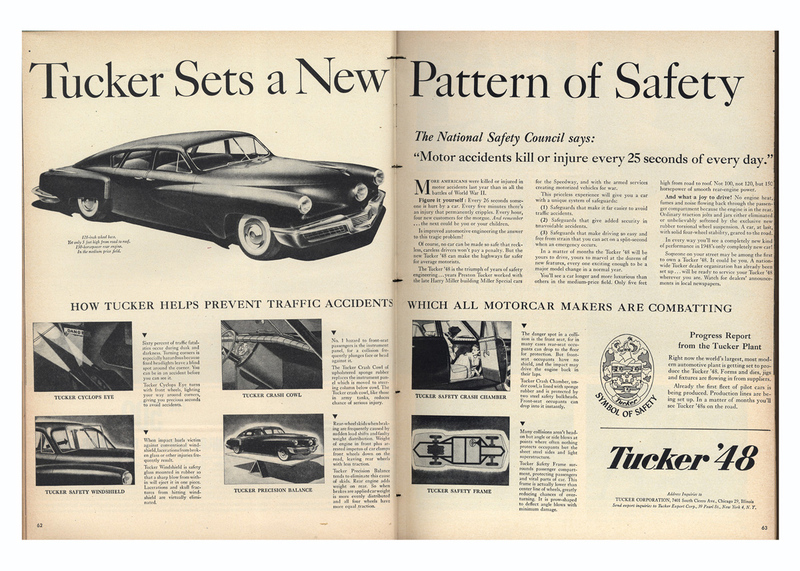 But what really made the Tucker sedan important to automotive history was its focus on safety. The automobile had numerous safety design features, including a pop-out windshield, a padded dashboard, and a center swiveling headlight. Of course tolerance for safety has its limits, and initial plans for including seat belts were dropped for fear that the safety device would scare the consumers away. Tucker was an entrepreneur. His brilliance wasn’t his grasp of the technology but how to sell the technology to the public. Like Henry Ford before him, Tucker did little of the mechanical work. Instead he sold a dream—safety and style at a moderate price. His charismatic charm was enough to get everyday Americans to invest in his exciting but risky project. With grand hubris, Tucker formed a corporation that he promised would rival the big three U.S. automakers. To get started he needed credibility and cash. Tucker wooed the press with glitzy events and elaborate PR stunts. Tucker also bought ads in national publications, and soon people across the nation were lining up to order his vision of the future. The only problem was Tucker had yet to start mass production. 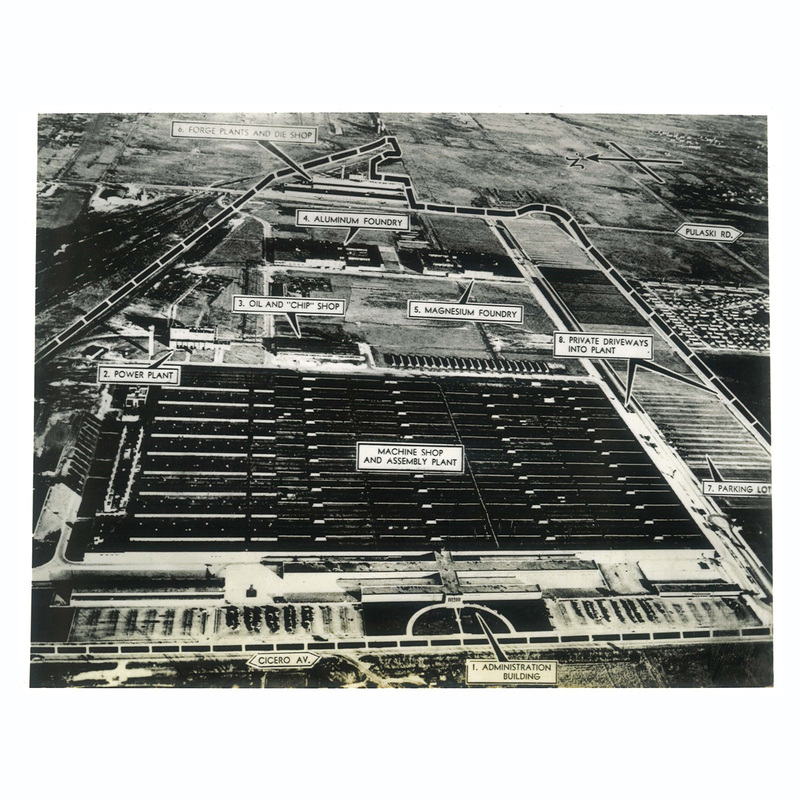 To give the infant Tucker Corporation manufacturing believability, Tucker leased the giant Dodge B-29 engine plant in Chicago's South Side from the War Assets Administration. He also started hiring a small army of engineers, marketers, administrative staff, and some factory workers—1,600 employees in all. All of this expansion took money—and lots of it. Tucker began selling dealerships to raise much-needed assets, but the decision ran him afoul of the Securities and Exchange Commission (SEC). The SEC launched an investigation and wrote a damning secret report, which the press got ahold of just as Tucker planned to issue stock. Eventually the stock offering went forward, and $17,450,000 worth of common stock was sold. Still in dire need of money, Tucker took orders on the promise of cars and began a creative (albeit dubious) accessories program. Preston Tucker's troubles with regulators persisted, and on June 10, 1949, he and seven other company executives were indicted for fraud and conspiracy. Simply put, the SEC thought Tucker should be able to back up all his optimistic advertising claims with a real working product. In response, Tucker pointed out that many of the deficiencies and falsehoods that the SEC asserted were incorrect allegations. The eight defendants went to trial and were eventually found innocent but, disgraced in the press, the company had already filed for bankruptcy. Never mass produced, only 51 prototype Tucker automobiles were ever assembled. Surprisingly 47 of them still exist today and sell for millions of dollars. The legacy of Preston Tucker is wonderfully complex. Was he overly optimistic? Thwarted by government intervention? The victim of retaliation by industry competitors? Or just a poor manager? Throughout the summer of 2016, you can visit the New Perspectives installation "Starting Up" in the American Enterprise exhibition to see some interesting artifacts and make a decision for yourself.